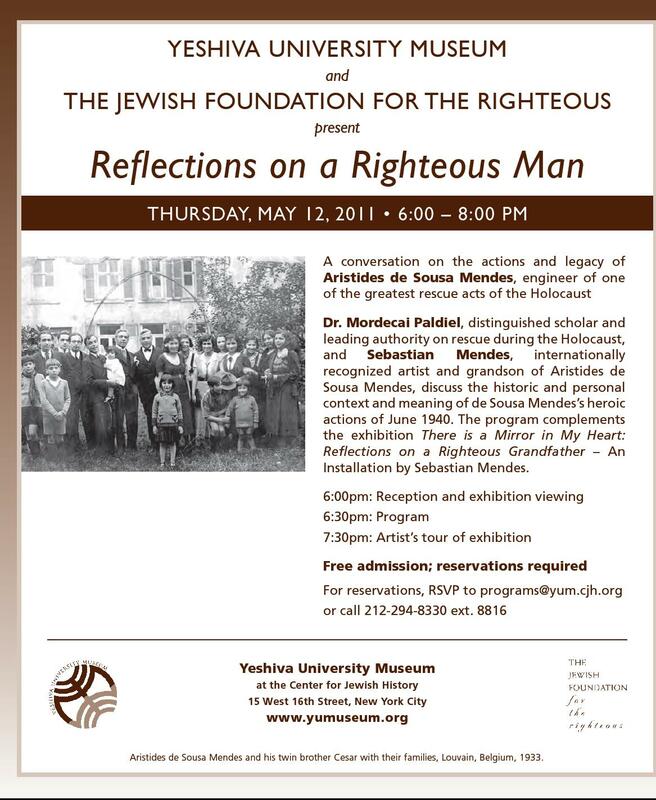 The Yeshiva University Museum and The Jewish Foundation for the Righteous are sponsoring the program Reflections on a Righteous Man. The program is free and open to the public but reservations are required. Please see below for details.